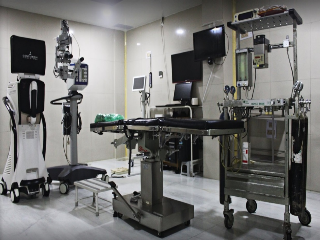 The operation theatre complex comprises of 3 state of the art operating rooms equipped with Zeiss Visu 150, Leica 220, Carl Zeiss Lumera T and Topcon OMS 75 operating microscope. 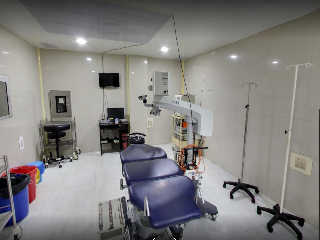 There is one Alcon Infiniti Vision System Unit, one Alcon's Legacy Phacomachine and one Lauriet phaco machine for phacoemulsification surgery. There is Alcon's Accurus 400 Vs Vit. Unit, Carl Zeiss Visulas 542 Laser, Cryo machine & Volk’s wide angle Lens system and SDI. The sterilization procedures are done by high-speed sterilizer, ETO sterilizer and steam sterilizer. 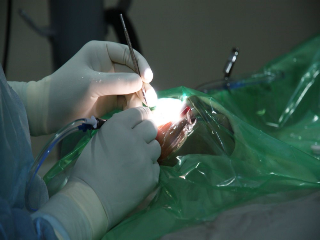 Circulation of the instruments inside the operation theatres are arranged in such a way that unsterilized and sterilized instruments never cross their paths. Every week the OT is fumigated for 48 hours. Micro-biological tests are done every month. Strict disciplinary measures are maintained inside the OT. 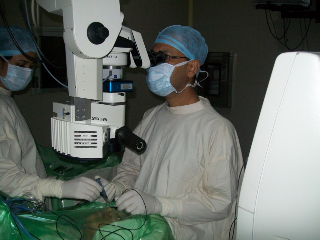 Operating Microscope (OMS 75) Topcon 1 No. 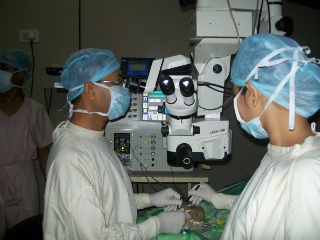 Operating Microscope(Visu 150) Zeiss 1 No. Operating Microscope (220 M) Leica 1 No. 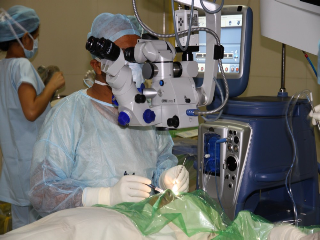 Opmi Lumera T Surgical Microscope Carl Zeiss 1 No. Operation Table Topcon / Icare 3 nos. Phaco (Universal II) Alcon India 1 No. 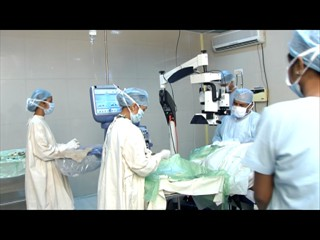 Laureate World Phaco system Alcon India 3 Nos. 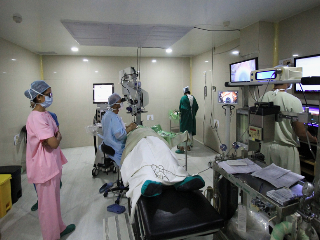 Everest Legacy Phaco Machine Alcon India 1 No. 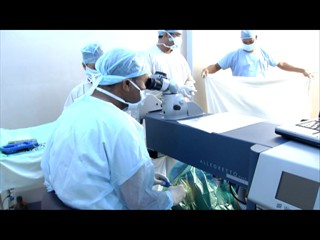 Infiniti Vision System Unit Alcon India 1 No. Accurus 400 Vs Vit. Unit Alcon India 1 No. 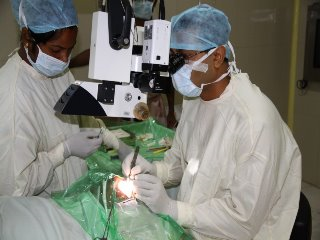 Microsurgical Vitrectomy Machine Alcon India / Appasamy 2 Nos. Cryo Machine Appasamy 2 Nos. Horizontal High Speed Cylindrical Steam Sterilizer Medicare Equipment Co. 1 No. Fully Automatic High Speed Sterillzer Hanshin Med. Co. 2 Nos. ETO Sterilizer Pest Control India 1 No. Air Sterilizer Sincere 3 Nos. Nasal Endoscope Storz 1 No. Boyles Apparatus Datex Ohmeda 1 No. Defibrillator DF 2509 Monitor with Auto Recorder BPL 1 No. Pulse Oxymeter Mod-3800Argus Oxm/Oxywave Datex Ohmeda/Schiler 3 No. Multiparameter monitor A3/ M3928A Philips 1 No. 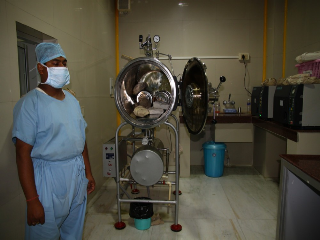 Surgi-VAC (Suction Machine) Anand Surgical Industries 1 No. Ultrasound Cleaner (Mod-FUS-1400 T) Epsilon 1 No. DCR Laser Appasamy 1 No. Dehumidifier Origine Corporate Service 1 No. UPS 5 KVA Online Numeric 1 No. Hydraulic Surgicare operating table(MD-SS-151) Cognet 1 No.